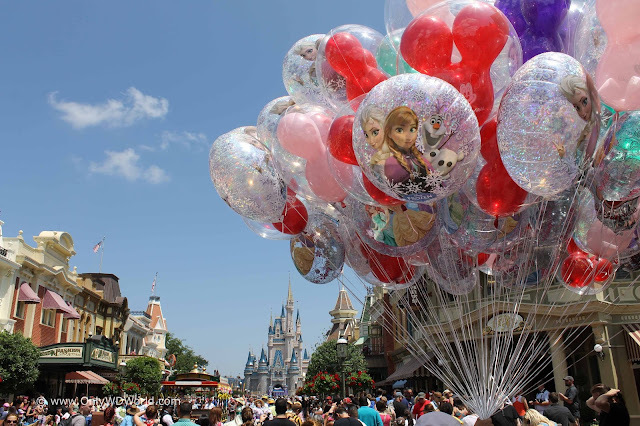 Home � Disney World Resort Hotels , Disney World Theme Park Guide , Disney World Vacation Planning , Disney World Vacations , Walt Disney World Resort � How To Plan Your Disney Vacation In 5 Easy Steps! How To Plan Your Disney Vacation In 5 Easy Steps! Taking your family on a Disney World vacation is a magical experience, but the planning can be intimidating! Only WDWorld wants to give you the advice you need to save money, save time, and end up with your best Disney World vacation ever! Unlike most vacations, a Disney World vacation involves a lot of pre-vacation planning. Do it right and you end up with the most magical vacation ever! Skip these steps and you end up wondering why you paid so much for a crowded, stressful, frustrating vacation. Do your research up front and ABSOLUTELY CHECK OUT the Official Disney World Planning Video in this link below! This will let you know all of the latest details at the Walt Disney World Resort leading in to the planning of your trip! Picking the time of your Walt Disney World Resort Vacation can make a big impact on your trip, from crowd levels to discounts available to types of activities that are available. Get a travel agent to get you the best deal! A travel agent is not required to make Disney World travel reservations, but a travel agent that specializes in Disney Travel can make a big difference in your trip including taking the time to help you with dining and FastPass reservations, rebooking your trip if new discounts become available and answering all of your Disney World Questions. The best travel agents do NOT charge extra for their services and give you a lot of extras to enjoy. We recommend Only WDWorld Travel, but there are also other great Disney specialized travel agents out there. If your travel agent hasn't been to Disney World 50+ times then you are better off finding one that has! Disney World has changed travel forever! The MyDisneyExperience App gives guests the ability to track their reservations, see attractions wait times, and even find restaurants with availability! This app becomes an integral part of your Disney World Vacation. Along with the wearable tech - MagicBand - Disney World has totally changed the Disney World Vacation experience. Nowhere else can you check-in to your resort online, receive a text telling you your resort room number and enter your room with your FREE wearable tech MagicBand without ever visiting the resort front desk! Disney World has a totally different dynamic for making restaurant dining reservations. You are permitted to make reservations 180 days out and some of the hardest to come by will actually fill up close to the at 180 day threshold. Once you get past the absurdity that you need to make restaurant reservations that far out, you can focus on what you need to get the most out of your Disney World Vacation. Character Dining experiences fill up the quickest, so if those are important then plan on making reservations at 180 days out. Although a credit card is required when making reservations, if you cancel more than 24 hours prior to the reservation, you will not be charged any cancellation fees. Sites like Only WDWorld can help you determine which of the over 100 Disney World dining locations are worth visiting during your vacation. Disney World has long been a leader in theme park world of allowing special passes to popular attractions with a shorter wait line. Although Disney World was a leader in making these passes FREE of charge,you would have to enter the theme parks early to get access to reserve these passes. Recently Disney World has made FastPasses available through the MyDisneyExperience App where you can reserve them through the App up to 60 days ahead of time if you are staying at a Walt Disney World Resort Hotel. Although this disrupts the historical advice that you must be at a Disney World theme park at opening to get access to the best attractions, it is still in your benefit to arrive early in the day to be able to visit as many attractions as possible. 0 comments to "How To Plan Your Disney Vacation In 5 Easy Steps!"